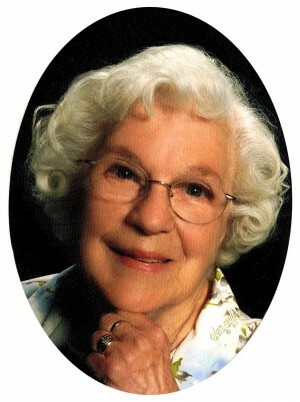 R. Virginia Taylor, 85, of 5565 St. Rt. 104, Scriba, passed away March 17, 2010 at home. Born in Oswego, she was the daughter of the late Richard and Lauretta (Lass) Smith. She was a member of Grace Lutheran Church and served as Financial Secretary. A member of the Scriba Aux. Volunteer Fire Department and a member of Rebekah Lodge in Scriba. She enjoyed gardening, feeding her birds, spending time with family, fishing for perch at Lake Ontario and watching the Yankees. Surviving are a son, Richard Taylor and Margaret Stone of Oswego; three daughters, Marilyn (Warren) Martin of Oswego; Jamie Taylor and John Wilson of Town of Oswego; Karen (James) Gallagher of Volney; three brothers, Richard Smith of Florida; Robert Smith of Oswego; Terry Smith of Scriba; ten grandchildren; nine great-grandchildren; several nieces and nephews. She was predeceased by her husband, Alonzo Ã¢â‚¬Å“LonnieÃ¢â‚¬Â Taylor and her daughter, Patricia Joyce. Funeral Services will be held 11a.m. Monday at the Grace Lutheran Church, 201 E. Sixth St. Oswego. Spring burial will be in New Haven Cemetery. Calling hours will be held 2-5p.m. Sunday at the Nelson Funeral Home, 11 West Albany St. Oswego. Donations may be made to the Grace Lutheran Church or Oswego County Hospice, Box 102 Oswego.